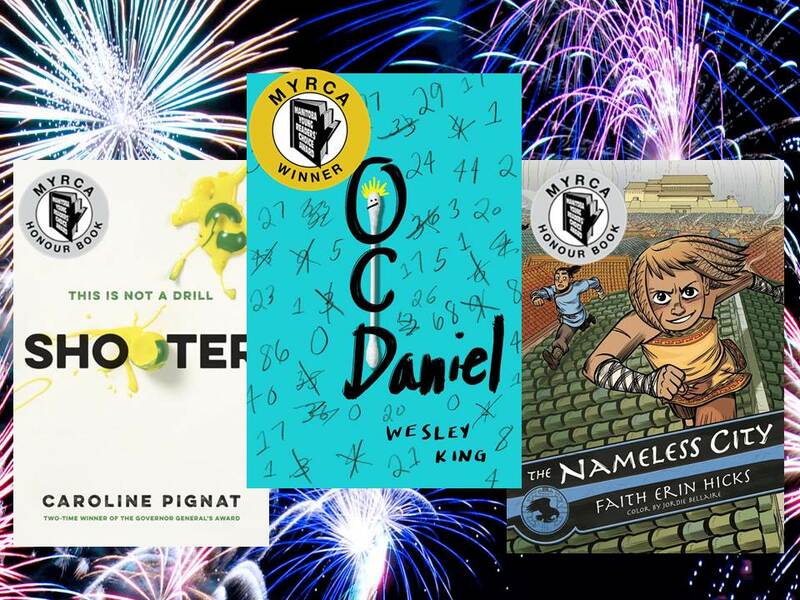 The 2018 Manitoba Young Readers’ Choice Award winners were announced this week. Congratulations to OCDANIEL by Wesley King, which is this year’s winning book. The honor titles are THE NAMELESS CITY by Faith Erin Hicks and SHOOTER by Caroline Pignat. Congratulations to all the nominees, and stay tuned for the 2019 nominees and new award names.